It’s finally here (or at least it’s in the App Store awaiting review)! This is the Super Conversions (aka SuperConvert) that I’ve always wanted to develop. I had some time, so I coded almost non-stop, and it’s ready to roll. This is a fully functional calculator, with Memory, sin, cos, Pi, tan and other useful functions. 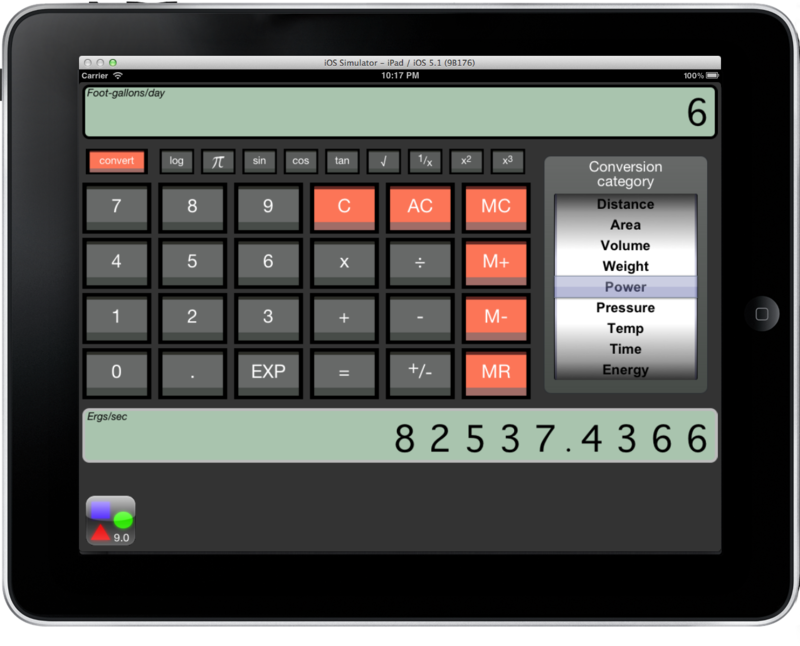 See the calculations at the top and the unit conversions at the bottom, with easily selected conversion categories and units. Copy either the calculated value or the converted value. If you have a support question on this or other SuperConvert or Super Conversions apps, please post a comment below or @Super_Covert on Twitter. There are also “conversion facts” that show up every once in a while. If you have a fact you’d like to see in the App, tweet it to @Super_Convert and I’ll add it to the list. Include a link to an image if there’s an appropriate one for the fact. Note that all facts are moderated. 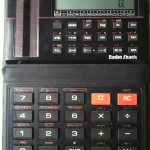 The design of the new SuperConvert 9.0 is actually based on an old calculator I’ve had for about 28 years. 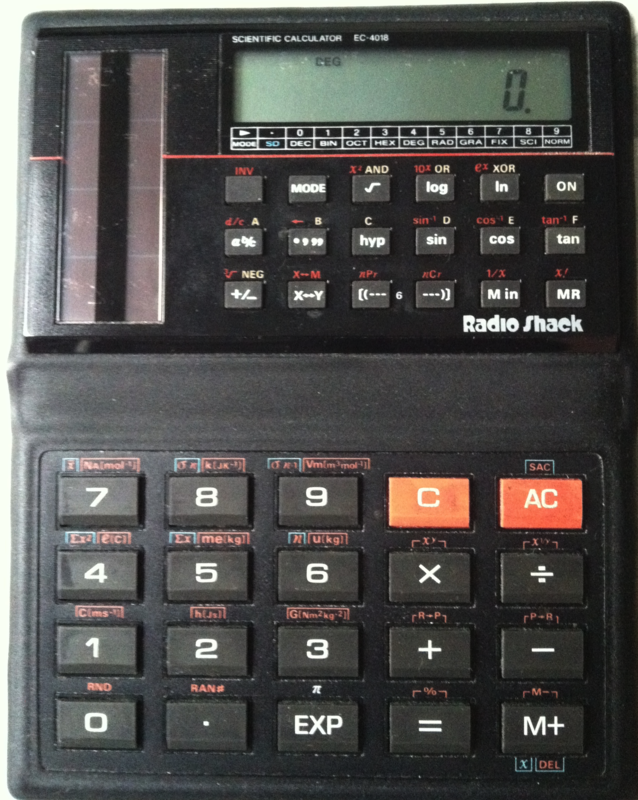 The solar powered device still works, and it’s still the primary calculator I use at my desk. 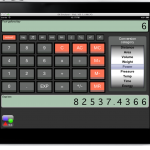 Check out the picture of the app and compare it with the picture I took of my calculator. I used that picture to design most of the visual elements of the app. If you have any support questions, or features you’d like to see, bugs to report, etc… – please post a comment below and I’ll get back to you.